This post has been five months in the making. Shaun’s been surfing his heart out here in Costa Rica, and I managed to convince him to write a little something about it. So, without further ado, take it away Shaun! 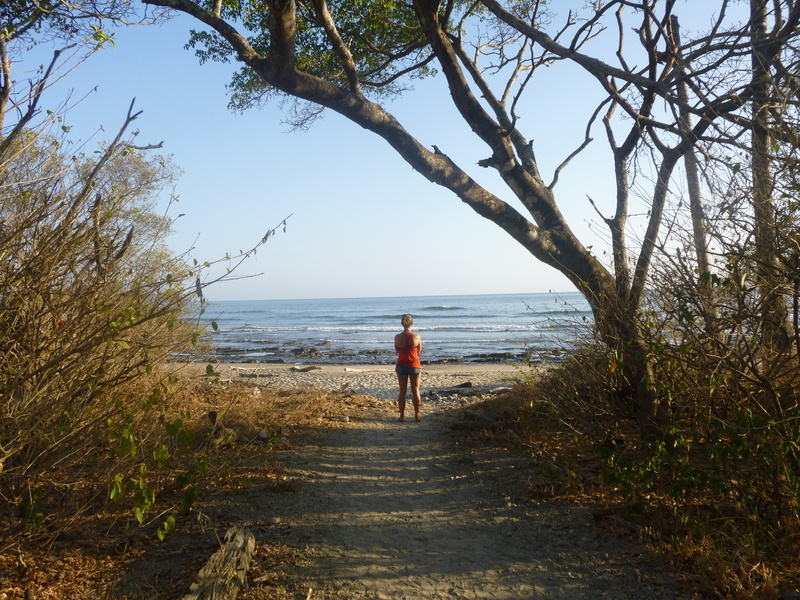 These past five months travelling around Costa Rica have primarily been spent along the coast. This is partly because we love the ocean and mostly because I wanted to surf. Kate was a champ in booking so many extended stays at the various surf towns. 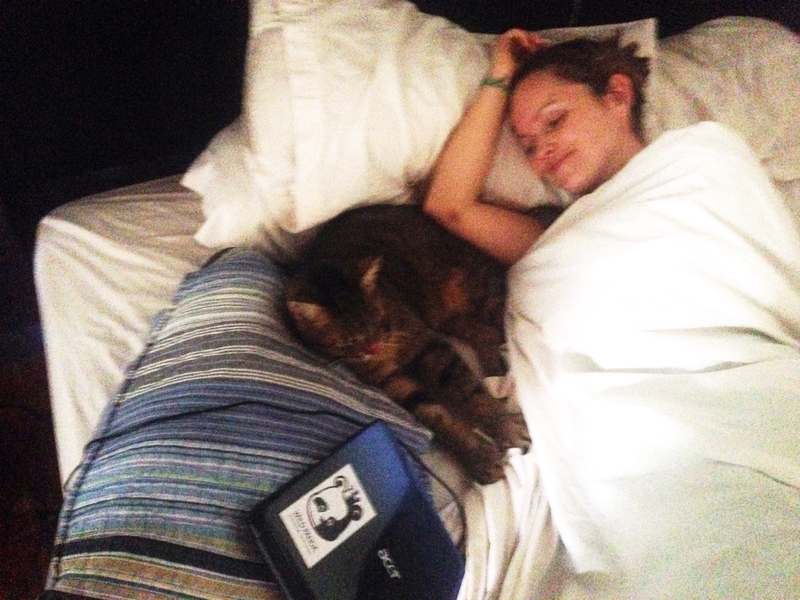 She also took a bunch of photos and twisted my arm into writing this post. 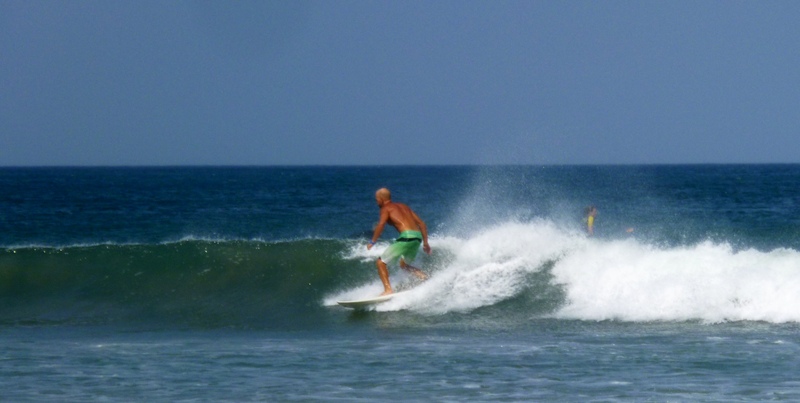 Most of the spots I surfed were fairly well known breaks on Costa Rica’s west coast. Sorry, there are no secret spots or unknown gems to be revealed here. I surfed the main breaks with everyone else. If you are looking for uncrowded surf maybe go with some buddies and get off the beaten path. 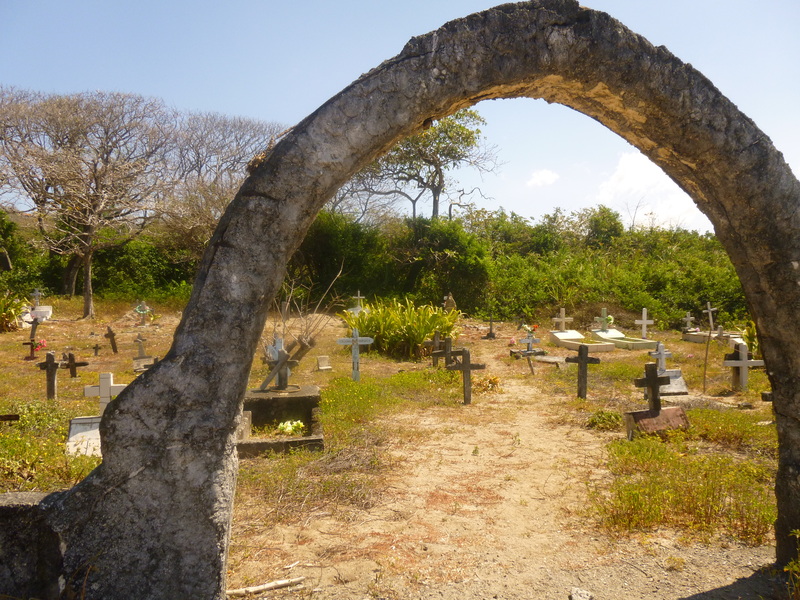 The trip started and finished with Playa Grande. I love this beach and wave. 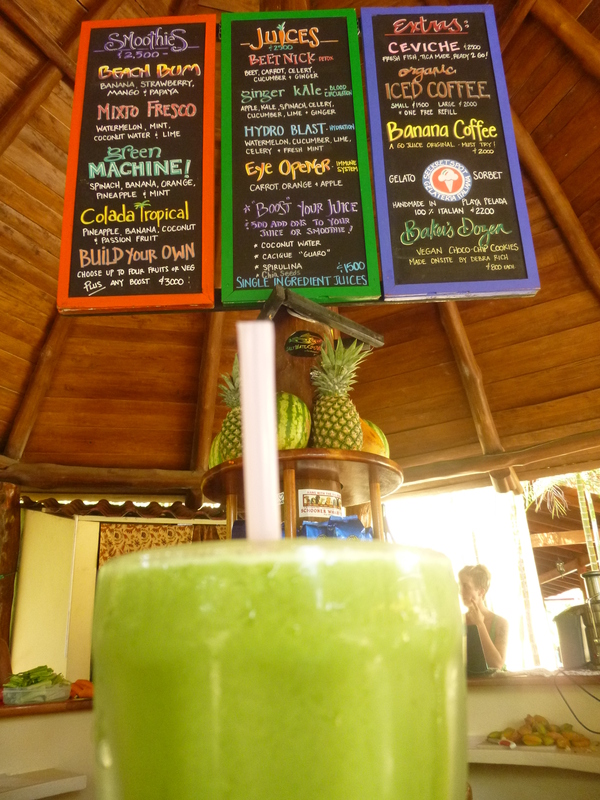 Every time we have visited Costa Rica in the past, we have spent at least a few days here. 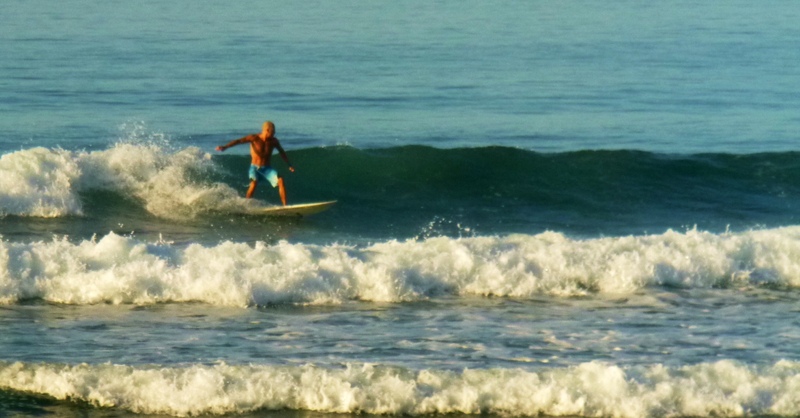 Usually I surf Casitas, which is on the south end. 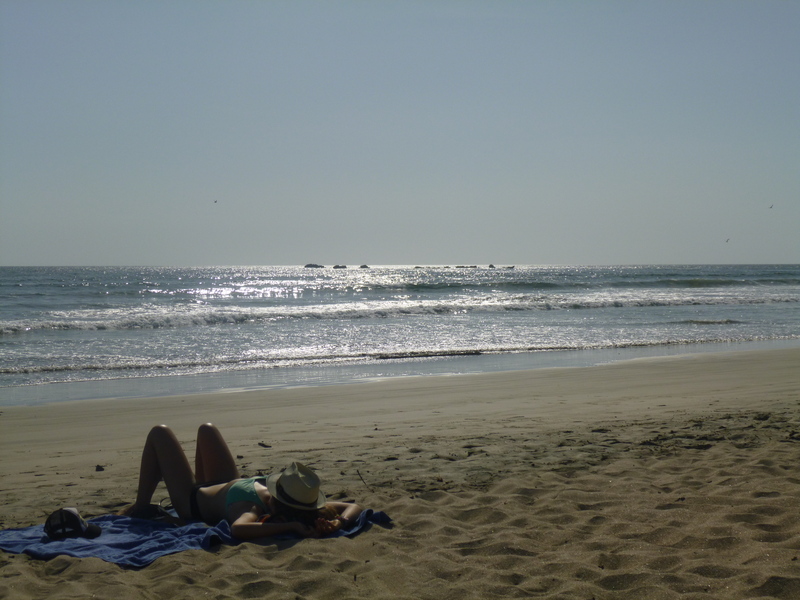 It’s close to Tamarindo which is nice because we often stay there as well. There was the odd time I would make the trek to the main break on the north end of the beach. The main break is a much better wave and usually has better size, but also has bigger crowds and its a much longer walk if you are staying in Tamrindo. I liked the south end as it has both good lefts and rights and is way closer. It was typically small, but fun. 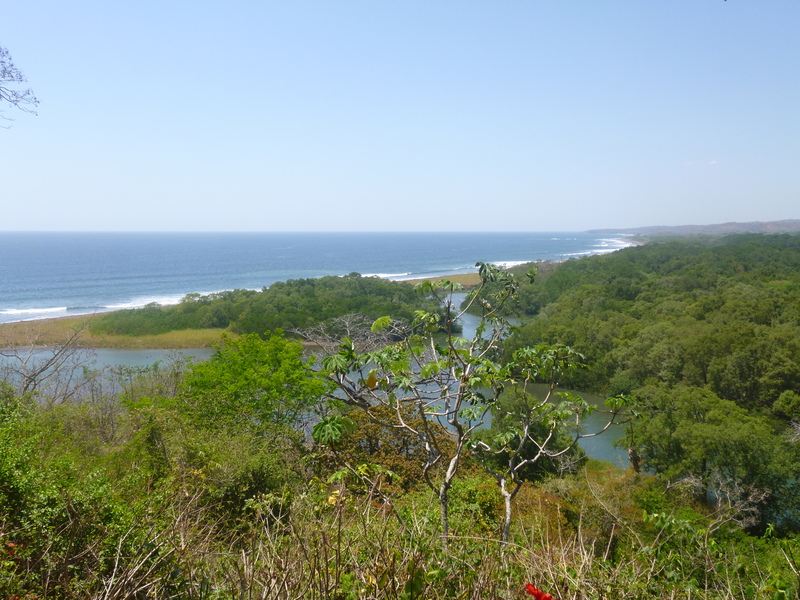 I found Playa Grande to be best at mid to high tide. And if you can get 3 to 4 feet of swell it gets pretty sweet. 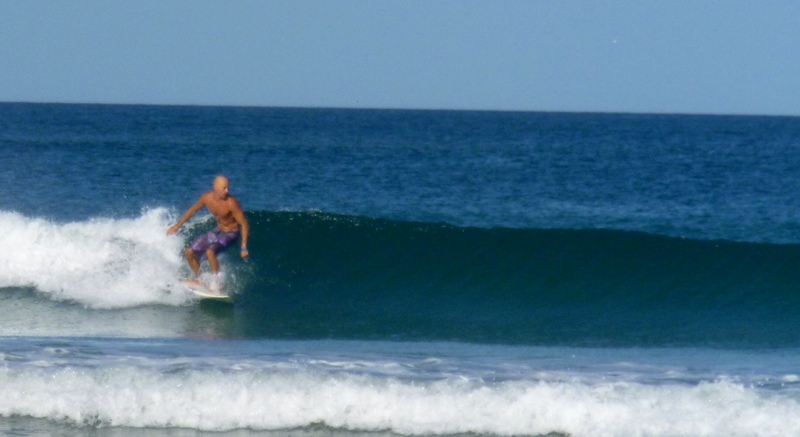 We were in Santa Teresa for about ten days in early December and there was some pretty decent swells at that time. It got big some days and there were some pretty nice waves and a fair amount of paddling. It is quite a big beach break so there are peaks up and down the beach, but it gets super busy. I found I preferred the mid to high tides there as it seemed to clean up a bit and mellow out. 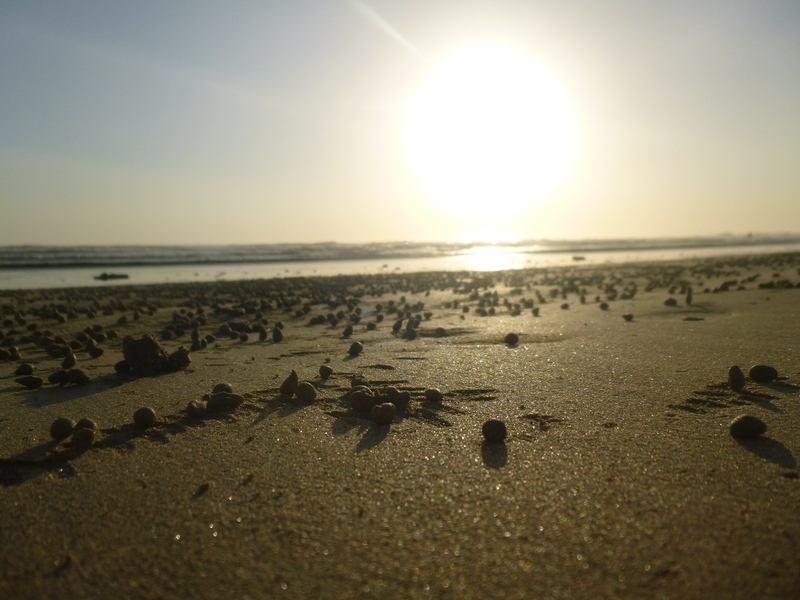 I also heard that low tide is quite good as the wave hollows out more. That being said it was a low tide surf the day I busted a board there. 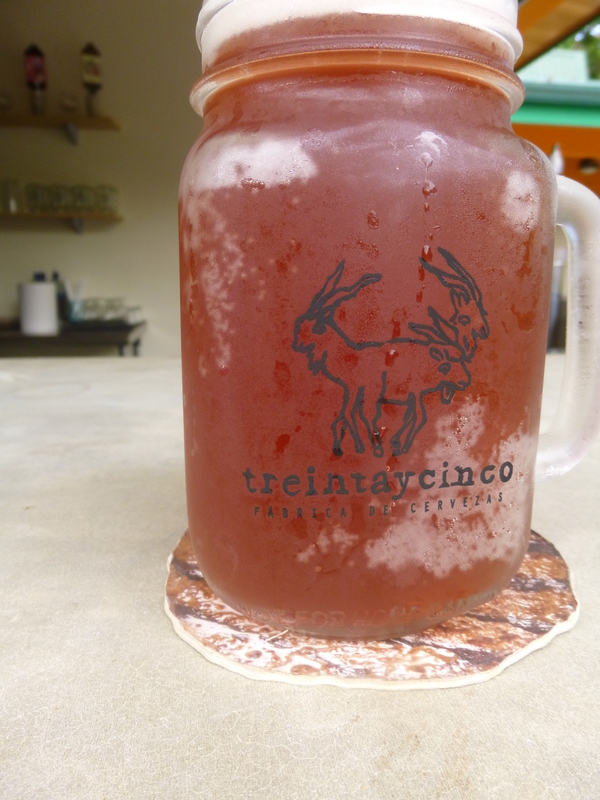 We hit Mal Pais aka Playa Carmen for a week after New Years. This wave was mellower then its neighbour to the north, Santa Teresa and didn’t seem to have the same crowds. It was still busy enough, but had more forgiving waves. Again, I would surf the mid to high tides and typically went first thing in the morning when there wasn’t any wind. 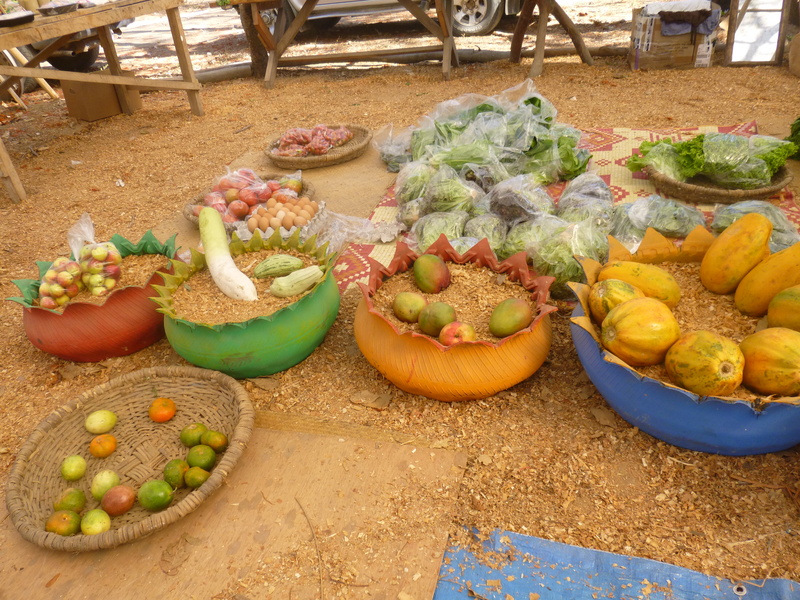 The biggest regret I have on this trip was not spending more time in Matapalo. We were only there for three days of which I spent a lot of time in the water. I didn’t know much about this wave and the day we got there it was low tide, big, and unsurfable. As the tide rose, the waves cleaned up and peeled nicely left or right. While we were there it was high tide in the morning and evening so I could put a few hours in at dawn when it was empty and glassy and then surf again at sunset. Where we stayed I could check the surf from my window with out even getting out of bed. Kate came out to take pictures one morning and ended up awestruck by the humpback whales that were swimming behind me. Guiones is where we spent most of our time this trip. We were there for about a month and it was great. It is easily my favourite wave from our whole trip. It is a huge beach break that seems to pick up a lot of swell. Two to three feet of swell there translates into decent waves whereas elsewhere it would seem small. It was also the most consistent wave of the trip. It seemed like it worked on any tide and when it got big it held up okay and would not wall up too much. I had some of my biggest drops there and it felt pretty good. We were there for most of March and it almost always blew off shore in the mornings then switched to on-shore mid morning around 9:30 to 11:00. By about 4:30ish it usually started dying down and it would be good for an evening session. It was quite busy in the mornings and evenings and usually empty in the afternoons when it was on-shore. 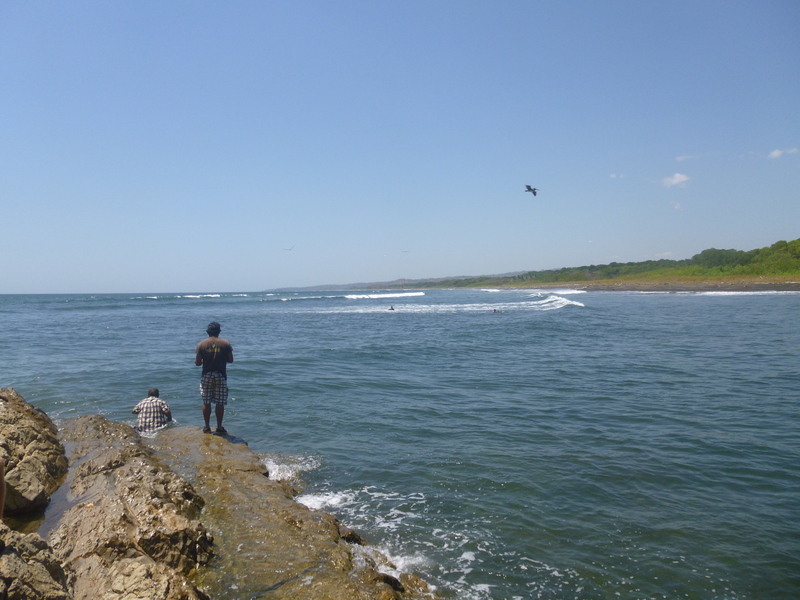 It was often crowded, but manageable; it seemed like you could always find some space and get plenty of waves. So those are the spots I spent time at. 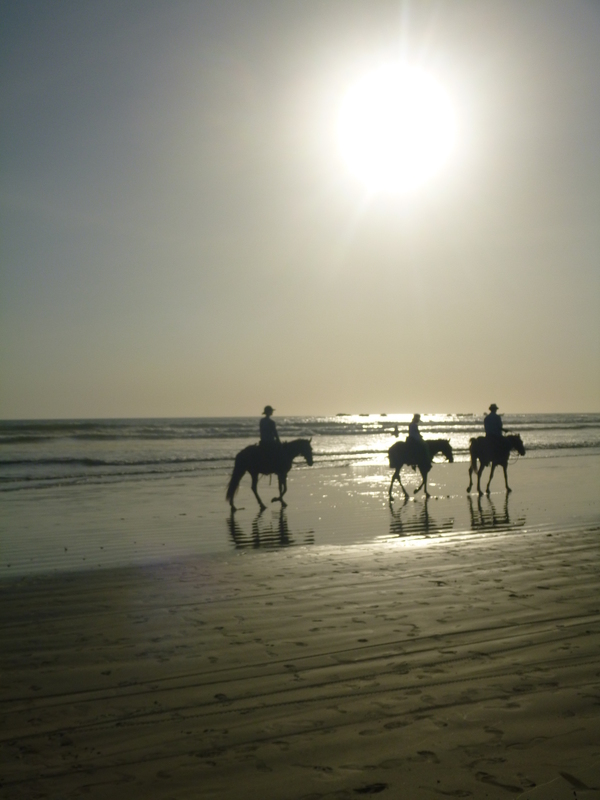 We hit a bunch of other beaches and towns, but usually only for a few days. 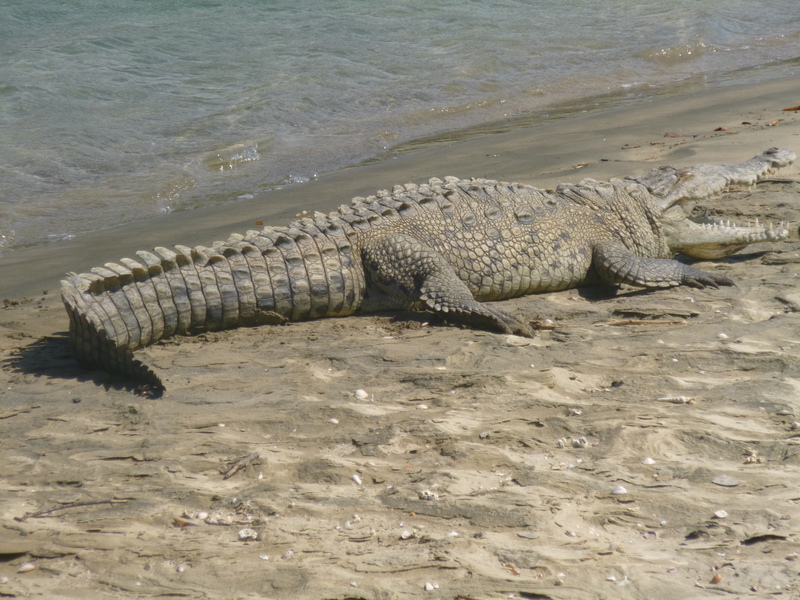 As for wild life, I saw a ton of fish, a humpback whale, a shark, a bunch of flying sting rays, two eagle rays, and I nearly paddled into a six foot croc. Again huge thanks to my lovely wife Kate for letting me surf so much this trip. 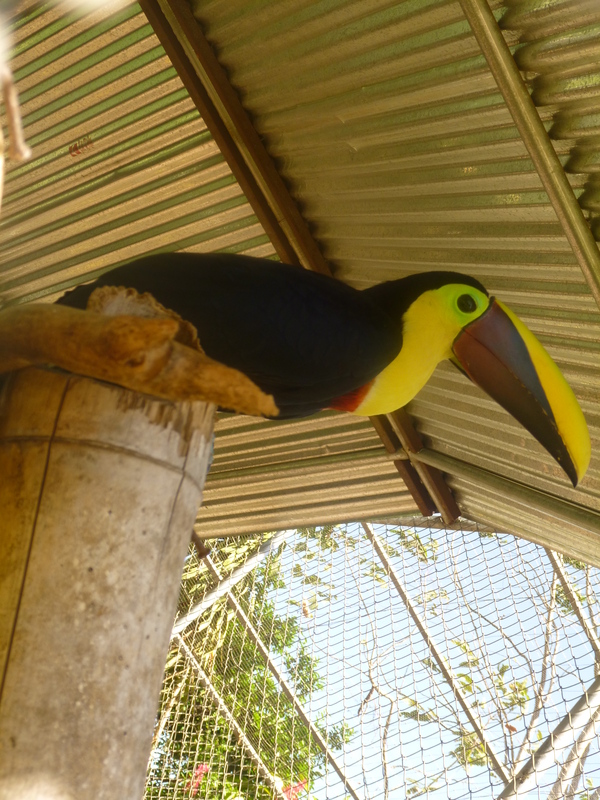 If there is one thing you should do when staying in Nosara it is to book a visit to the Nosara Wildlife Rescue. This non-profit charity will provide you with a perspective changing, once in a lifetime experience. 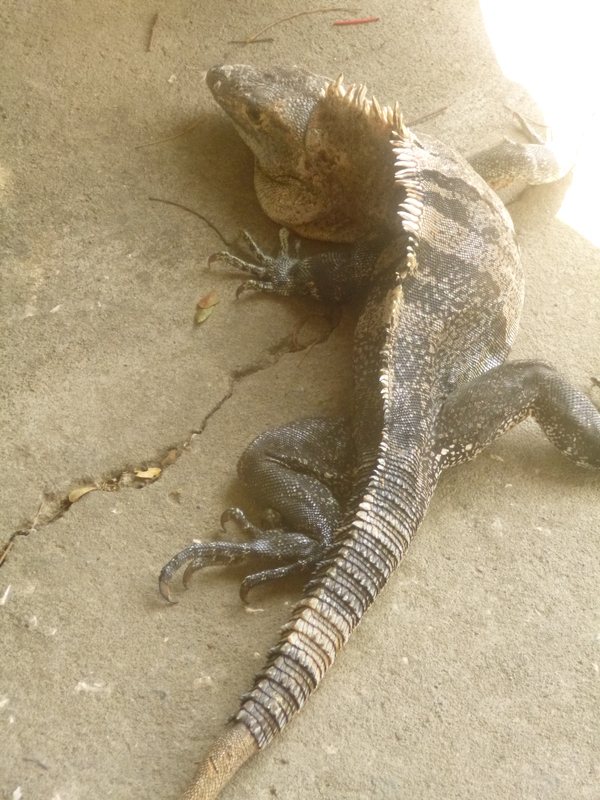 The Nosara Wildlife Rescue takes in all kinds of wild animals. 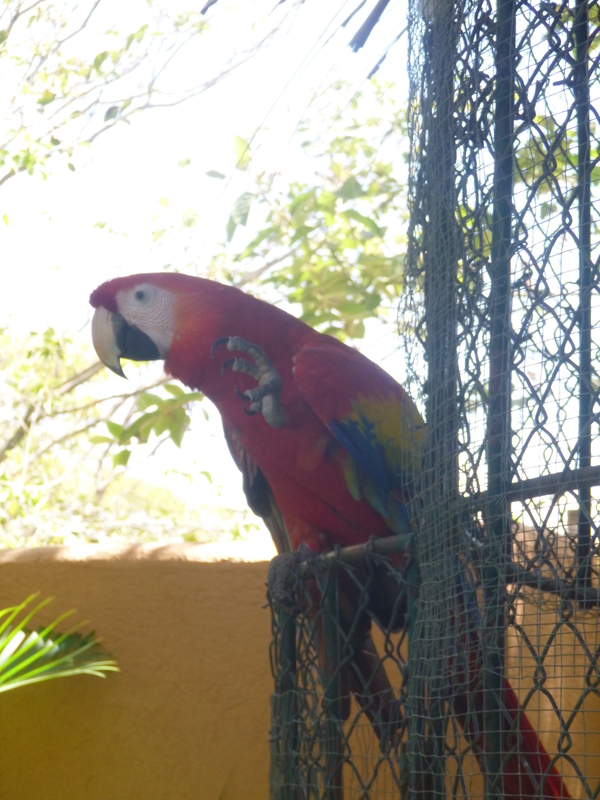 Whether it’s a parrot with a broken wing, or a Iguana with a sore foot, the organization will pick up the animal and take care of them. Animals are provided with immediate and long-term medical treatment. 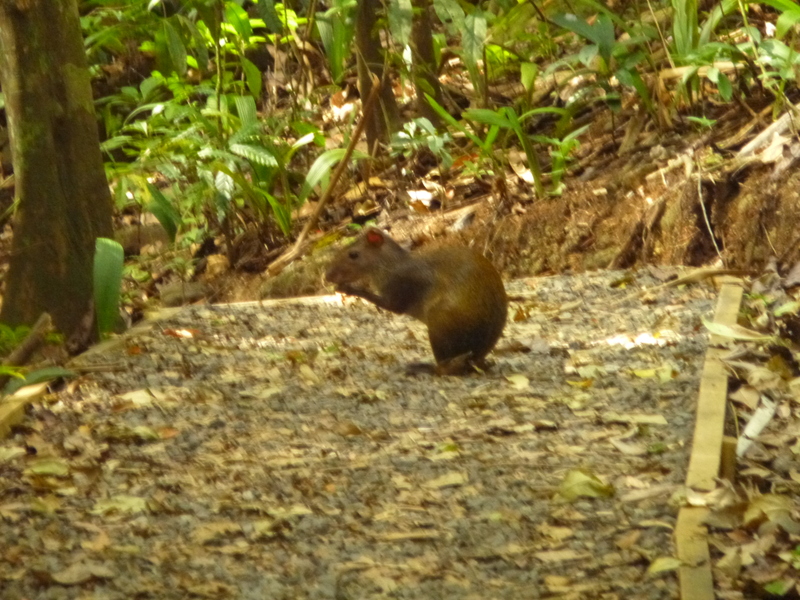 The primary goal being to get them re-integrated into the wild as soon as possible. 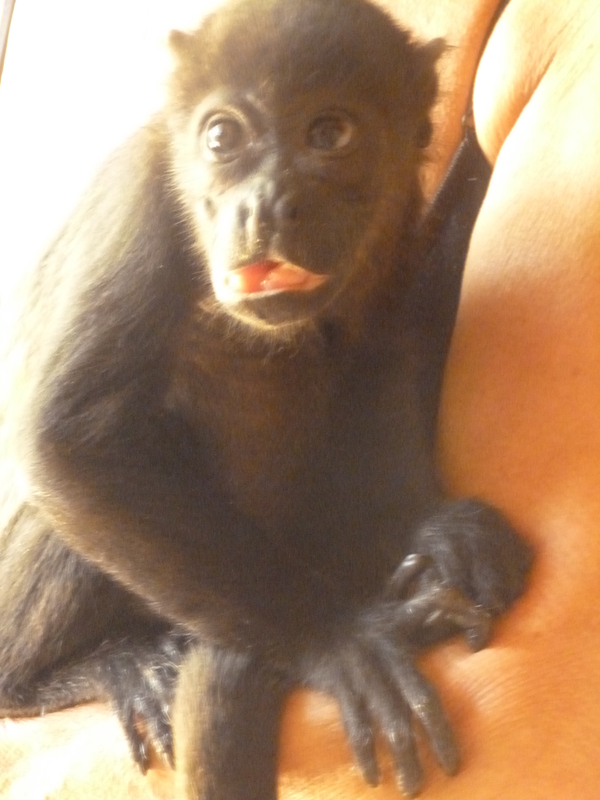 Despite their open door policy for all animals, their true speciality is Howler Monkeys. 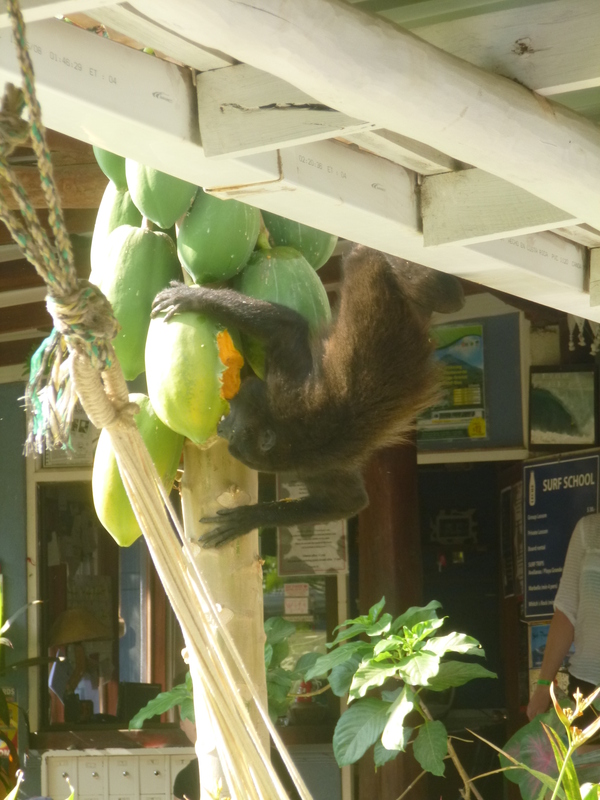 Howler Monkeys are everywhere in Nosara. Their distinctive “motorcycle revving” howl rattles you wherever you go and you don’t have to walk far before you’ll find a family walking through the trees. 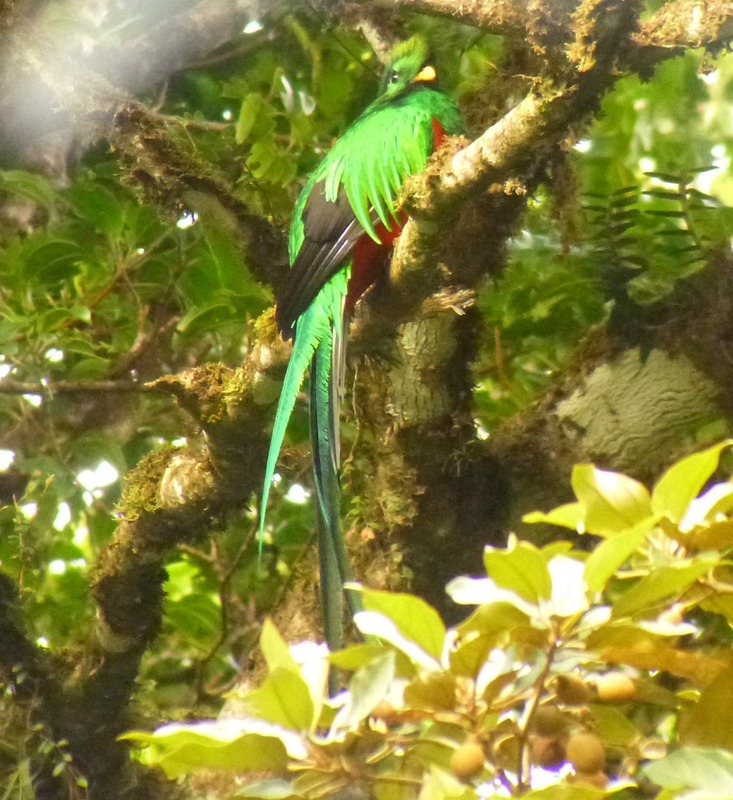 No matter how long I have travelled in this country, I can’t help but stop and watch these amazing creatures. I must warn you, this is where things start to get tough to hear. The following information may be hard for sensitive readers. 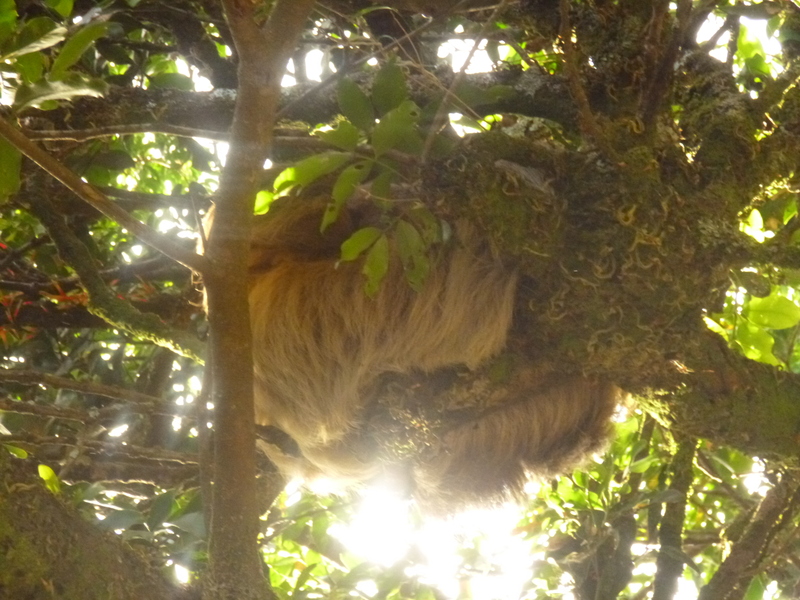 homes of the Howler Monkeys. The results have been tragic. 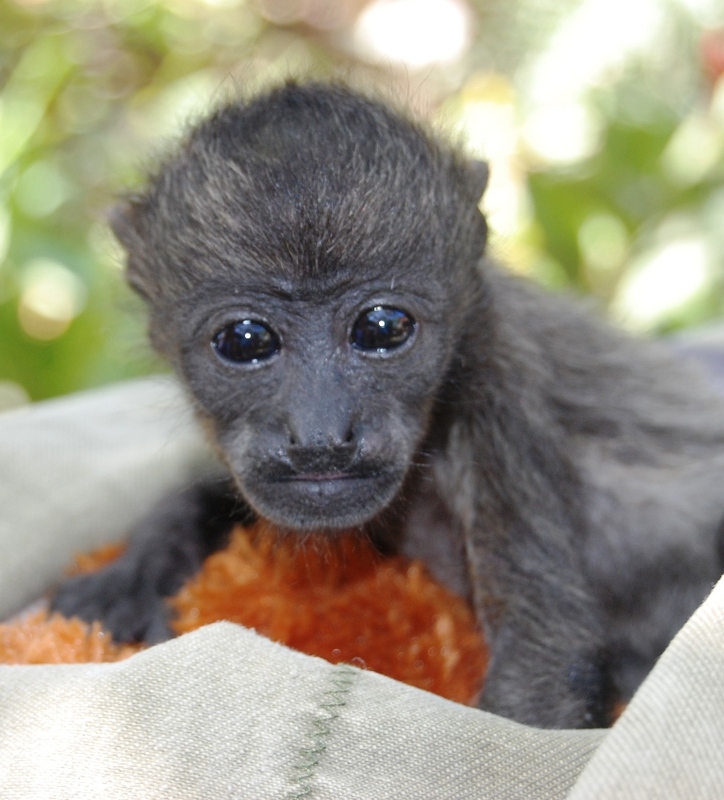 Between 1996 and 2007, Costa Rica lost half of its Monkey population, a vast majority from electrocution. This tragedy is made even more frustrating as it is completely preventable. Howler Monkey’s have natural highways amongst the trees. Families follow the same routes all the time. As a result, when trees are chopped down, and replaced with power lines, the monkeys will simply continue along the lines in order to follow their regular path. Now we’ve all seen squirrels or birds running along power lines, and they don’t get electrocuted. It’s because they haven’t made a connection or circuit between the two strands of power lines. 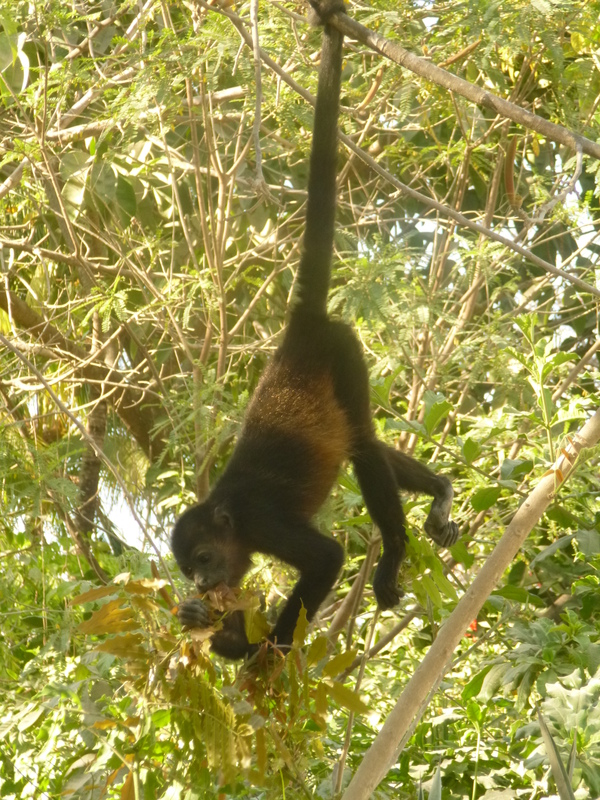 With long tails, long arms and an ability to dangle from limbs, creating a connection between the two lines is a regular occurrence for Howler Monkeys, resulting in drawn out, painful electrocutions resulting in injury and very often death. To make matters worse, many of the monkeys that are electrocuted are the mothers, that carry their infants on their backs. Mother’s will often be stuck on the lines continually being electrocuted, while the baby is stranded on them. I won’t go into details regarding some of the stories I heard, but they were all extremely heart breaking. Although this is a difficult topic to discuss, there is hope at the end of the tunnel. Not only has Nosara Wildlife Rescue developed successful strategies to rehabilitate and re-integrate the vast majority of their injured Monkey’s back into the wild, they are also working on more permanent solutions to this problem. 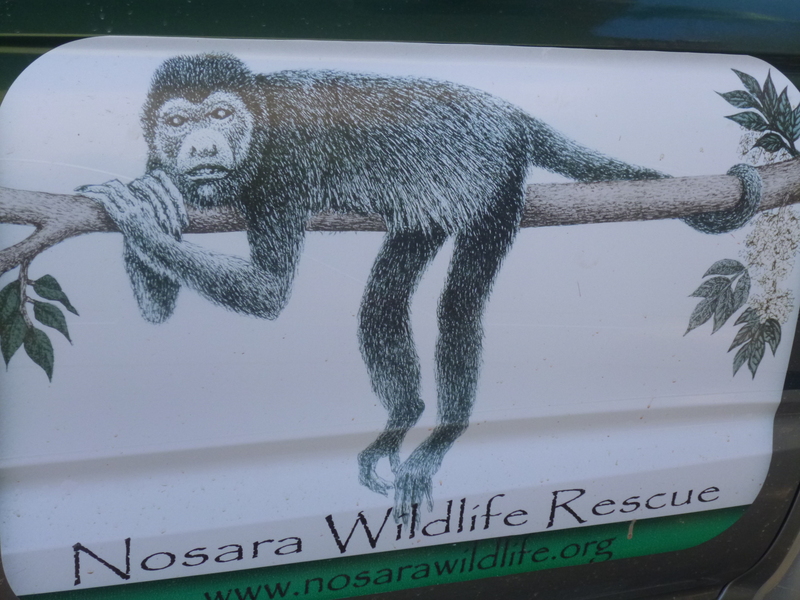 In collaboration with local electric company ICE, Nosara Wildlife Rescue helped to coordinate a project that created covers for the power lines in Nosara. This drastically reduced the number of Monkey electrocutions in the area. Unfortunately, the results were temporary. 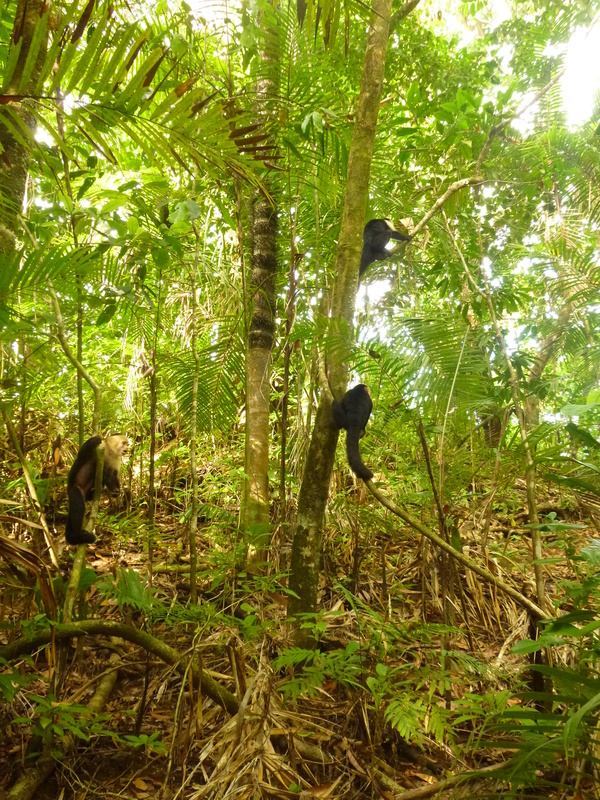 When the covers were installed, the trees were trimmed back and the Monkeys were no longer able to get onto the lines. As years have passed, and the trees have grown back, the monkeys are now climbing back on the lines and are coming into contact with the exposed transformers. working hard to educate the public on the need to cover their transformers. They even sell the transformer covers and/or can make arrangements to help residents have their transformers covered. They are also working diligently to attempt to have policies updated that would require all newly installed transformers to be covered. 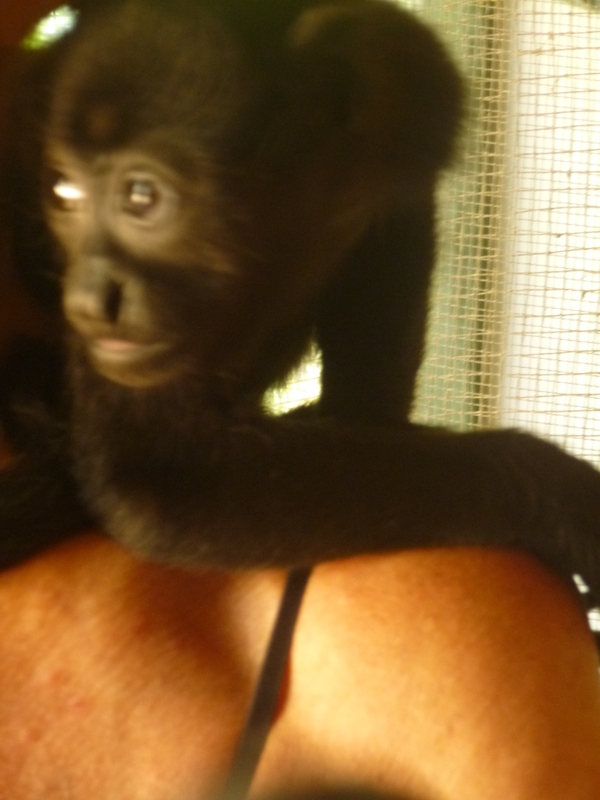 The Nosara Wildlife Rescue is unlike anything I’ve ever experienced. 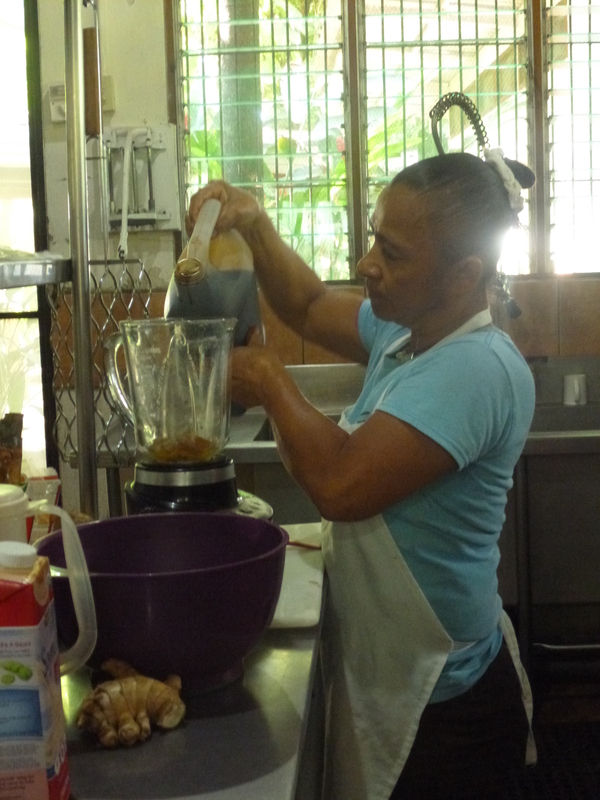 They run their program from the foundation of devotion and love for animals. Day or night they are out there rescuing animals, and spending every waking moment nursing them back to health. Their success rate for re-integration is amazing. 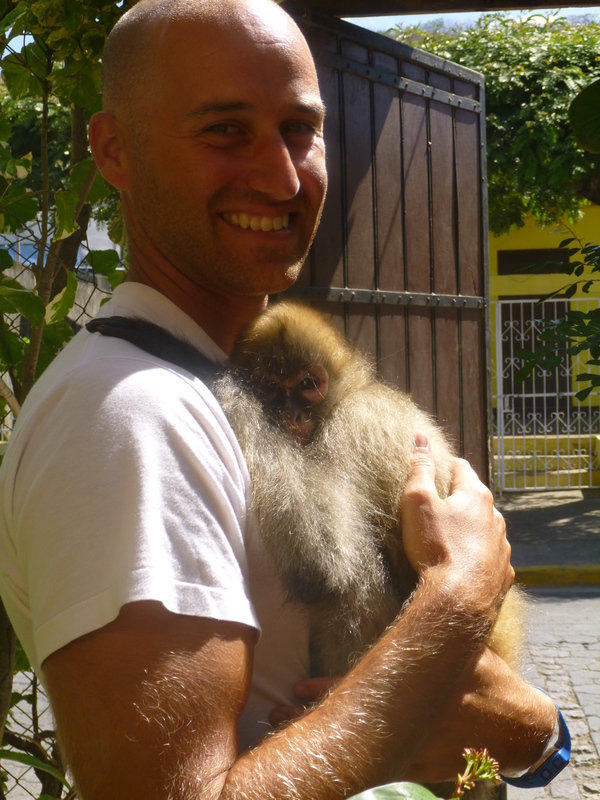 Through years of practice they have developed an amazing program to ensure baby Monkeys are handled in a way that will ensure they are ready for the wild. After hearing their story, I firmly believe that had it not been for their initial intervention, you would see Howler Monkeys in Nosara. If you want more information about Nosara Wildlife Rescue, check out their website, Facebook or this article that explains it all in a lot more detail. 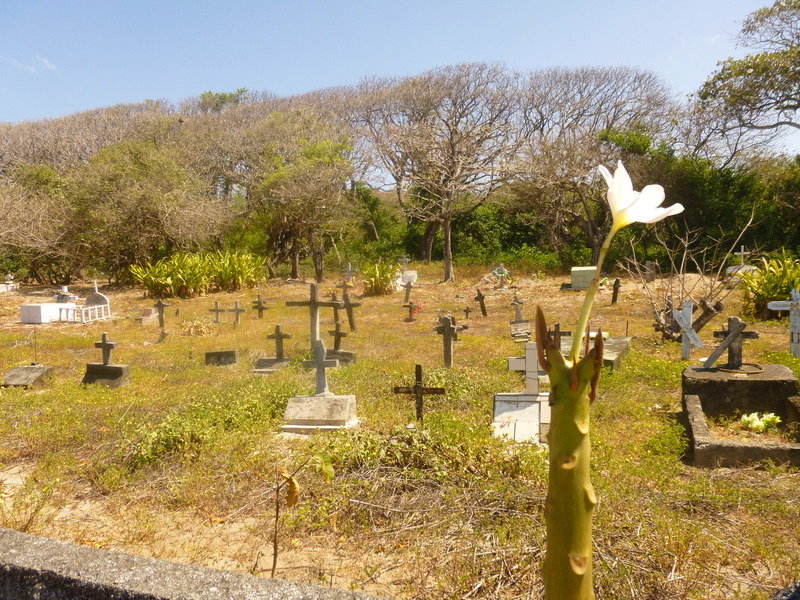 There are so many reasons why I loved Nosara, one of which was how gorgeous it was. I took so many photo’s while I was there that couldn’t be included in any specific posts, so I thought I would include them all here. I didn’t think that the last leg of our travels would be this hard. There…I said it. I’ve been a grumpy bear this week. Poor Shaun has had to deal with a very homesick wife. Of course, I recognize I need to change my tune. I’m actively choosing fear over love. If I’m not careful I’m going to waste the last few previous moments I have on this adventure looking forward instead of standing still. It’s the mundane times that I find challenging. Evenings where it is dark early, and no amount of Netflix or crazy eights are going to keep me entertained. Or days where I’m faced with a very hot walk to the store to get groceries. There are so many instances during my day where my mind wanders, I start thinking about home, I get lonely and I’m no longer present. I started reading about ways to “be in the moment” and although I agree with most things I’ve read, I still didn’t really know how I was going to go about doing it. It’s easy for me to be present when I’m reading something about it, but as soon as I put my book down, I forget. The mind is a powerful thing and it will wander where it wants to wander. I needed a concrete exercise to help me stay present, so I chose a day last week and decided to make myself a reminder. I set an alarm on my phone for every hour. Whenever it went off, I took note about what I was thinking about. Most of the time it was about home, or something in the future. I took a second to appreciate that thought and let it come to an end. Then, I took a deep breath and really looked at my surroundings. I would to myself, what am I grateful for in this moment? What do I want to remember? It didn’t have to be big things. Some of the things I noticed were all of the hibiscus in bloom, the amazing feeling of walking into a room with a/c, or a wicked huge Iguana. All things that I know I won’t have when I get home. Taking time to appreciate and feel grateful for those little things helped keep me in the present moment. This exercise totally falls into the “practice makes perfect” category. I found that after doing it for a while, it started to happen naturally. Now I have an alarm set for twice a day, but find I’m finding I am much more naturally present throughout the entire day. 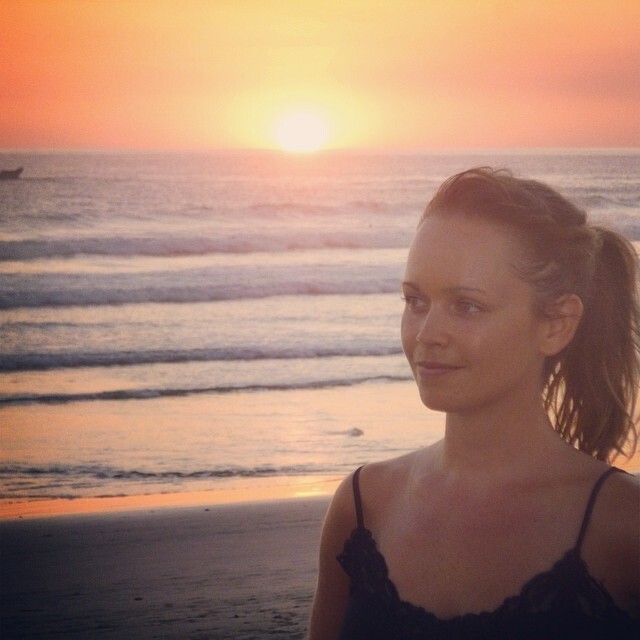 So, if you are every finding yourself in a situation where you are spending to much time looking back or looking forward, try this exercise to help train yourself to stand still. For more on the evolution of my philosophies and “kateness” visiting my Philosophy page. Shaun is a man who appreciates a good burger. Although he doesn’t claim to be an expert, with the amount of burgers he has consumed throughout this trip, he certainly has some experience in this area. 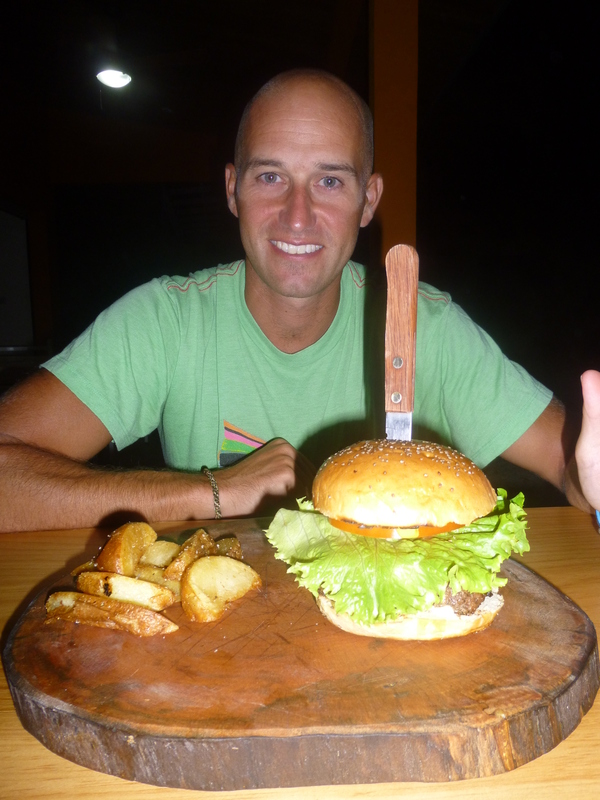 During our time in Nosara, Shaun had some particularly fabulous burgers. 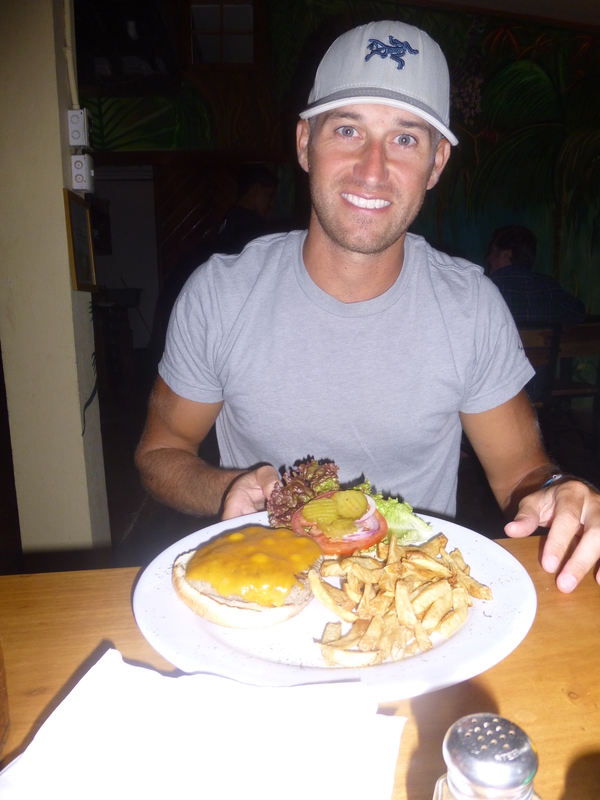 So, we figured we would rock a little taste test, as well as mention a few other notable burgers he has devoured during our time in Costa Rica. 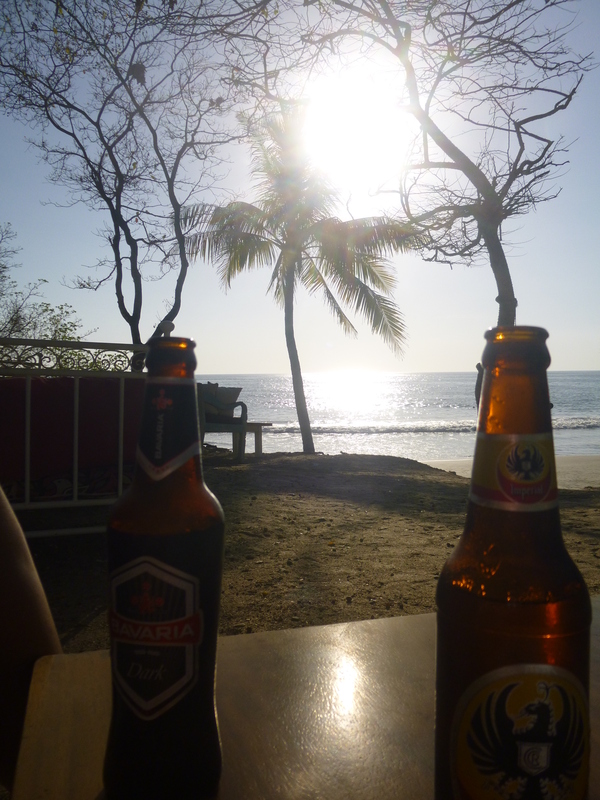 During our three week stay in Nosara, I had the burgers from The Gilded Iguana, Kaya Sol, and Burgers and Beers. Kate asked me to compare the three for her blog. I am by no means a food critic, but I’ve eaten a few burgers in my time. On this trip we do a lot of meals in to save money. When we do go out for meals I often go for something we typically can’t make ourselves; more times than not its a burger and fries. I think I’ve had around twenty burgers over the course of our five month trip. Most of them quite good and way better than the ones back in Canada. 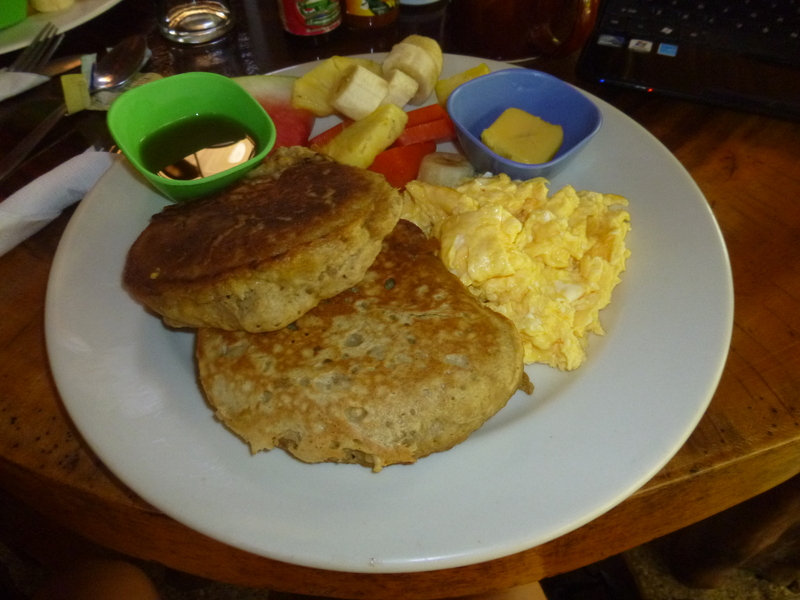 As for the burgers in Playa Guiones, they were among the best I had all trip. However, Kate wants me rank them so here it goes. To be fair each of the three burgers were a classic beef burger with cheese. I also ranked the french fries because I love fries, usually more than burgers. This time though the burgers took center stage. Good burger, it was home made patty with good thickness and not overcooked. Could have used a bit more pickles, but that seems to be a common issue down here. The fries were okay, not terrible but nothing to write home about. I rank this number three. Great burger, it was also a home made patty that was well seasoned and cooked perfectly. Easily one of the best burgers I’ve had all trip. I had this meal on my birthday and it was a fantastic choice (thanks Jorge). The burger came with tons of fries and they were easily the best fries I had had in all of Costa Rica. If this was a contest about fries, Kaya Sol would have won hands down. 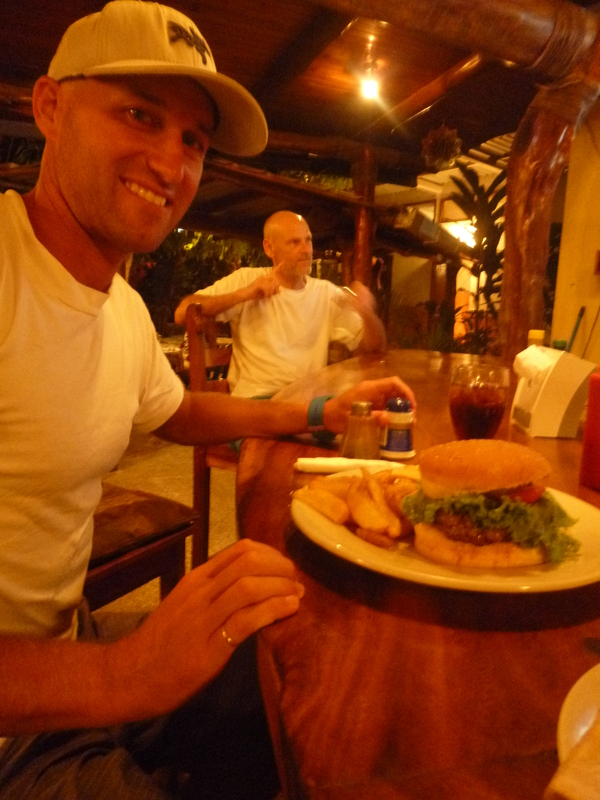 Best burger in Costa Rica, there is nothing bad to say about this burger. It was perfect. As I ate it I was getting disappointed as there was less and less left to eat. To top things off I had to share a few bites with Kate. It came with fries, but there weren’t that many and they weren’t as good as Kaya Sol’s, but the burger was perfect. So Burger and Beers gets my first place vote. Willie’s Avocado, Bacon and Cheese (ABC) Burger: Mal Pais Surf Camp, Mal Pais: I had Willie’s burger back in January and it was amazing. I don’t usually eat avocado, but something about the soft avocado combined with crunchy bacon made it work perfectly. I have compared every burger I’ve had since to it. Bacon Cheeseburger- Nogui’s Tamarindo: Even though Nogui’s is mostly Costa Rican food, they do know there way around a burger. I had their Bacon Cheeseburger way back at the start of the trip, and it was really good. The bacon was perfect. I might just really like bacon. Wipe Out Burger, Kaya Sol, Nosara: I had the Wipe Out burger on our last night in Kaya Sol and didn’t rank it with the others because it was a chicken burger, but it was ridiculously good. Its a chicken breast cooked in buffalo sauce with cheese and bacon. It was like a delicious chicken wing with cheese and bacon wrapped in a soft bun. I’m so hungry right now. Where do you get your favourite burgers?